His lawyers asked that prosecutors be barred from seeking death penalty, saying Trump's tweets have made a fair legal process impossible. New York: Lawyers for Sayfullo Saipov, the man accused of killing eight people by driving a truck into a New York City bike path in October, on Thursday asked a federal judge to bar prosecutors from seeking the death penalty, saying President Donald Trump's statements on Twitter have made a fair legal process impossible. In a motion filed in Manhattan federal court, Saipov's lawyers said that Attorney General Jeff Sessions, who must decide whether to pursue the death penalty, cannot be objective because Trump has pressured him to make decisions based on "nakedly political considerations" and has called for Saipov to be executed. The lawyers pointed to a Monday tweet in which the president criticized the "Jeff Sessions Justice Department" for indicting two Republican congressmen "just ahead" of the upcoming congressional elections. They also cited two tweets following Saipov's arrest calling for him to face the death penalty. Together, they said, Trump's tweets make it impossible for Sessions to "exercise independent discretion" on the matter. 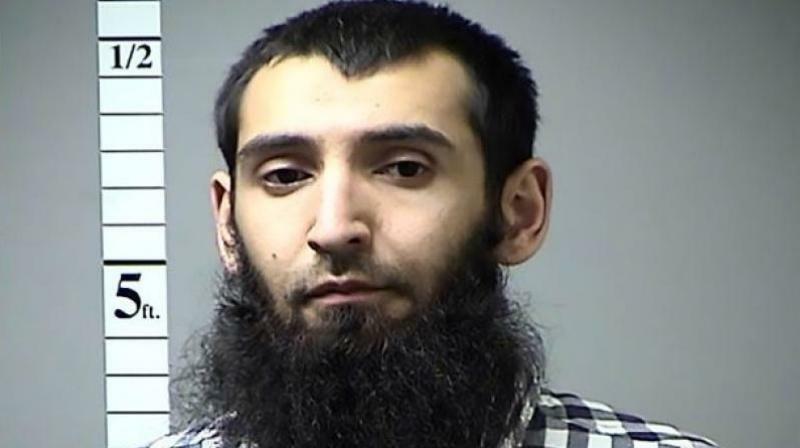 Saipov, a 30-year-old Uzbek national, was arrested in October immediately after police said he ploughed a truck down a bike lane on Manhattan's West Side. ISIS claimed responsibility for the attack, which was the deadliest assault on New York City since September 11, 2001. Saipov made a public statement at a pre-trial hearing in June, speaking of a "war" led by ISIS to establish sharia, or Islamic law, on earth, and dismissing the court's judgement as "not important."